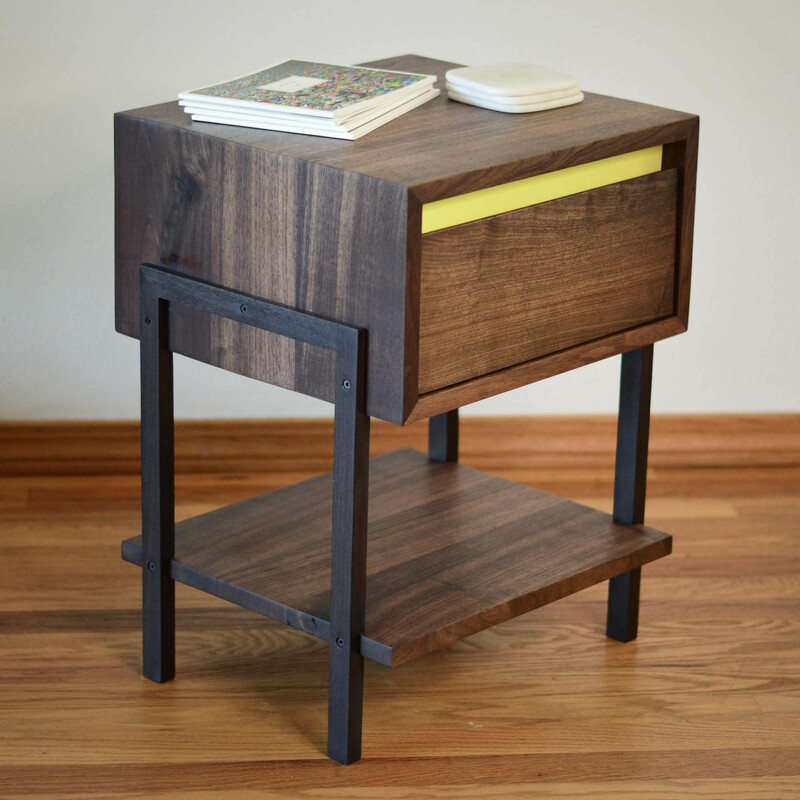 The Dayton stand is a solid Black Walnut modern night stand or side table with continuous grain “waterfall effect” across the sides and top. 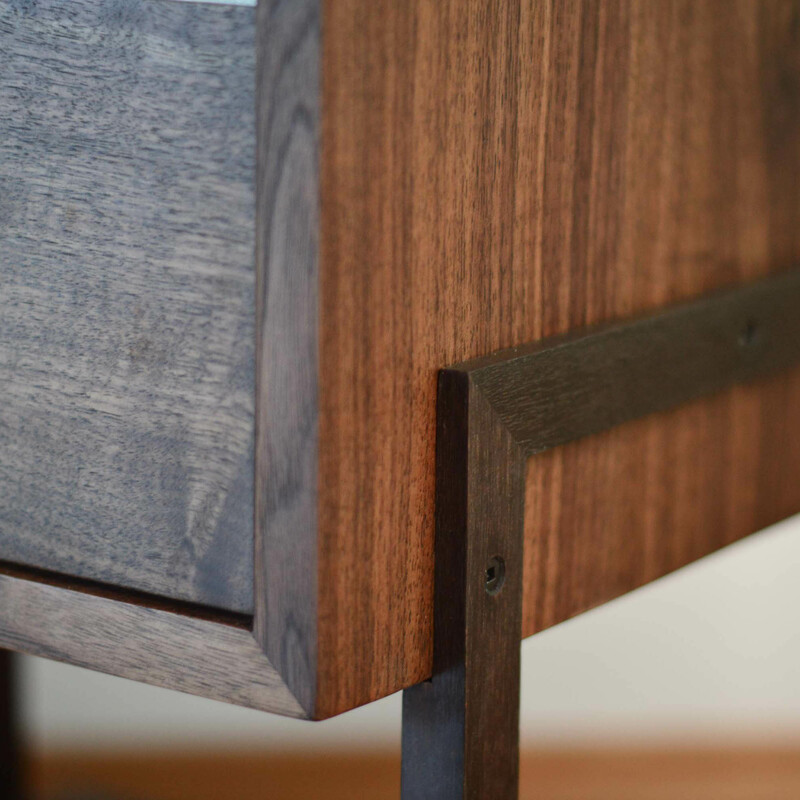 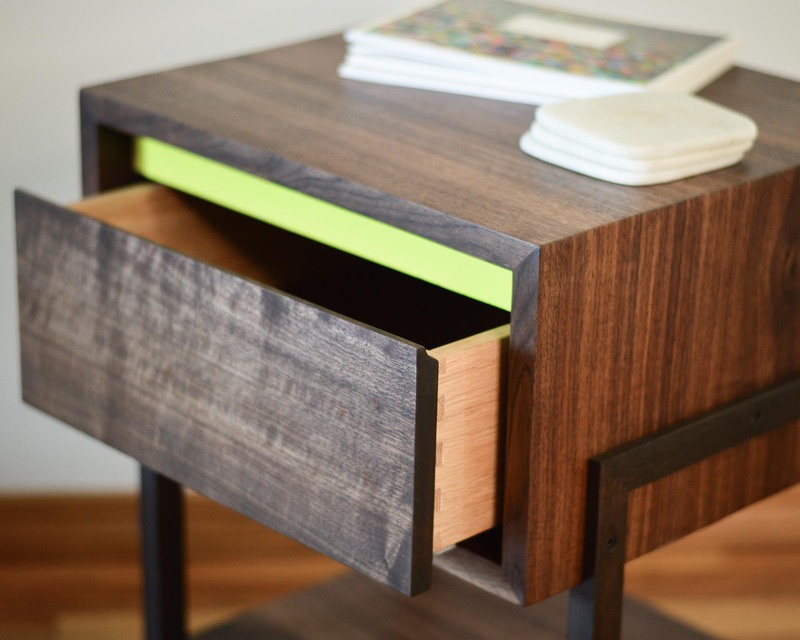 Featuring a solid rift-cut tight grain walnut drawer face with integrated drawer pull and oxidized Walnut legs. 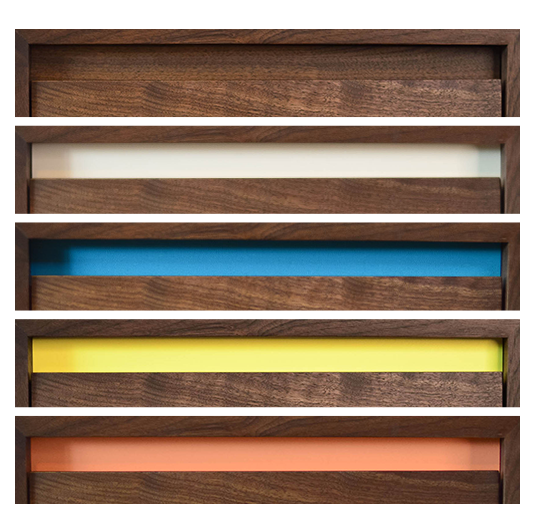 The dovetailed oak drawers are on top-of-the-line full extension, invisible & soft-closing BLUM slides. 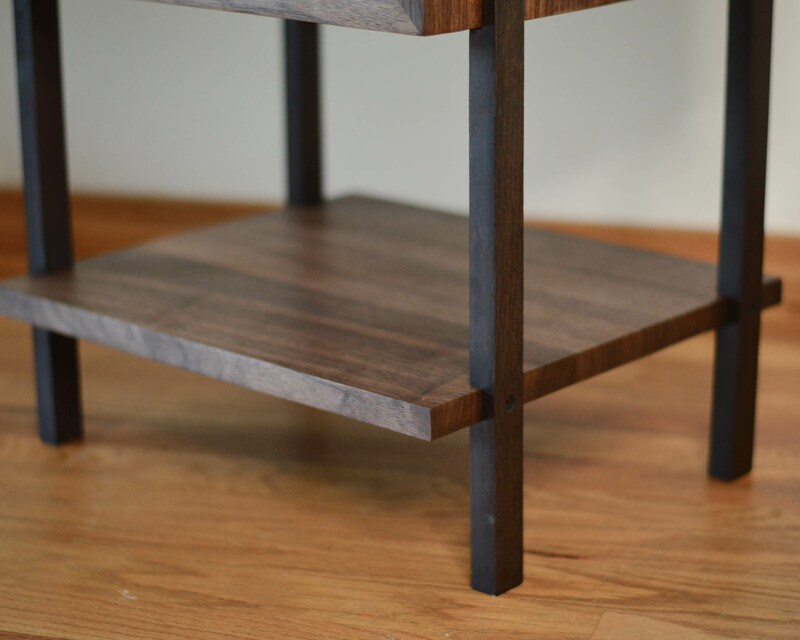 The legs are made with solid oxidized walnut and dadoed into the sides and lower shelf for lasting strength. 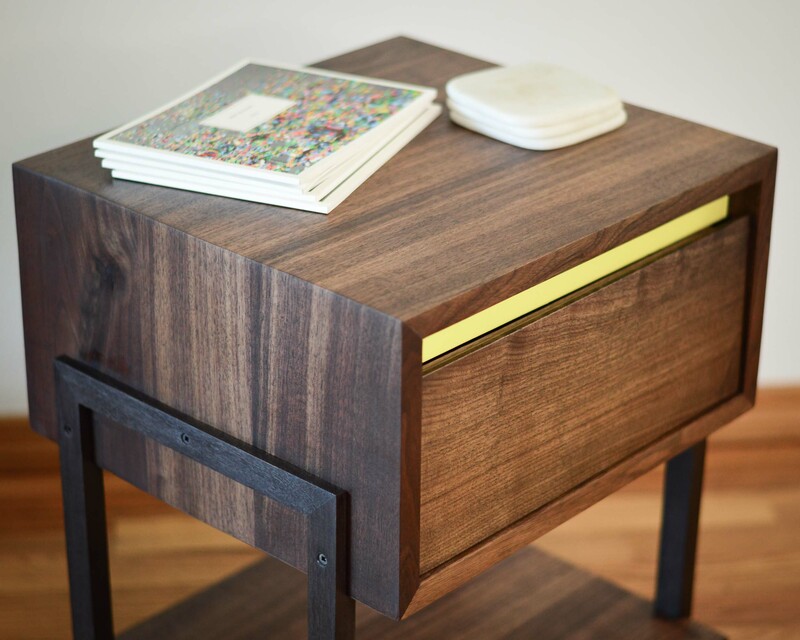 Arrives fully assembled and ships free in the USA. 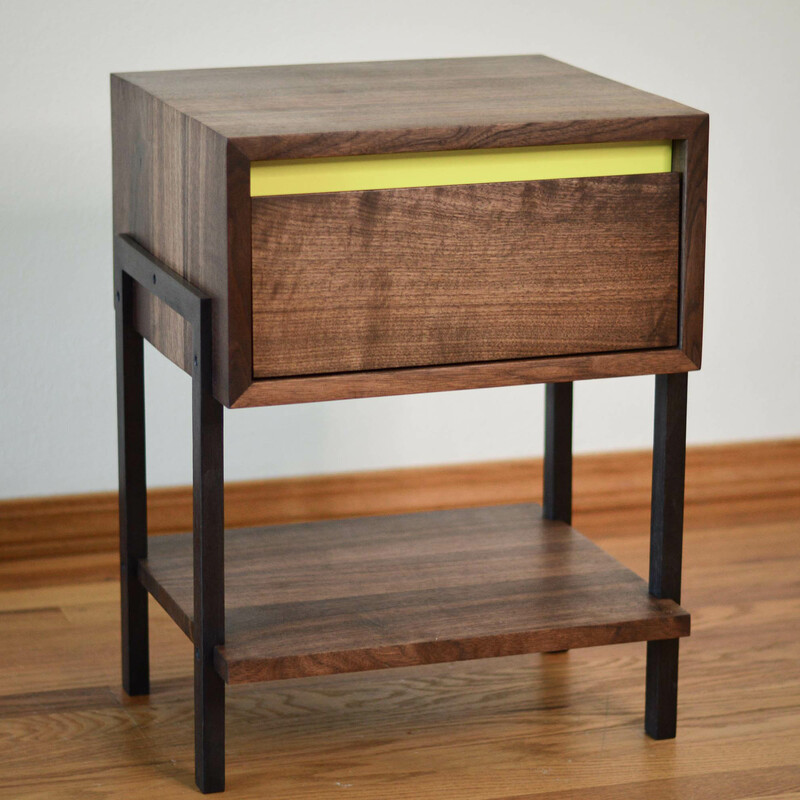 A pop of color – Lemon – behind the drawer face makes this piece stand out in any room. 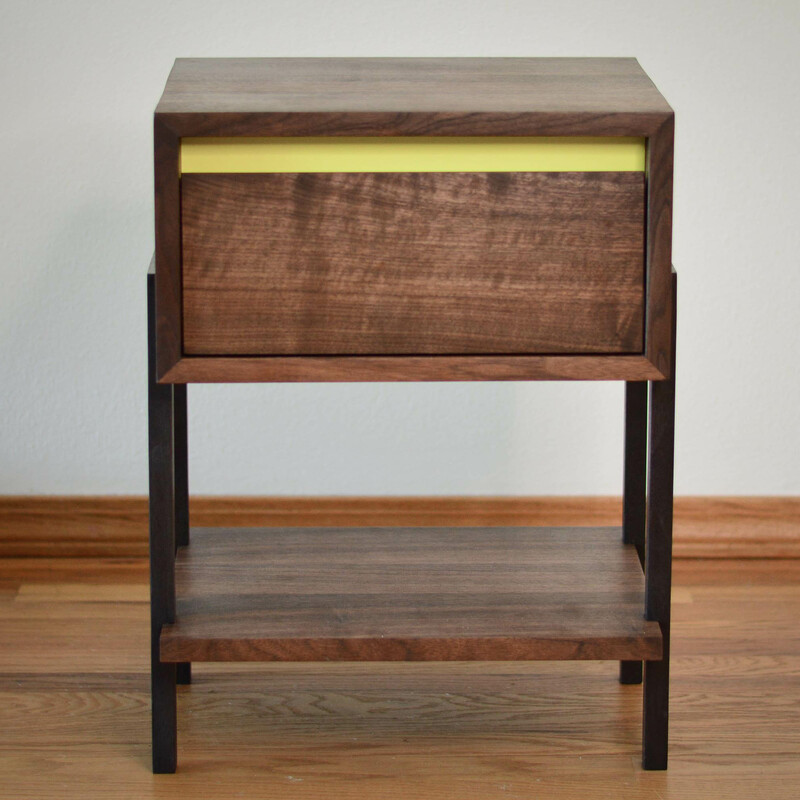 See our other listings for more available colors.